We’re a web design & full-service online marketing agency located in Charleston, South Carolina. At DigitalCoast Marketing, we work with you one-on-one to grow your business through on-target, online marketing strategies. We are a full-service web design company, website development, digital, and inbound marketing agency. We’re the leading online marketing agency in Charleston South Carolina for web design, web development, search engine optimization (SEO), pay-per-click (PPC) management, targeted ad displays, social media marketing (SMM), and much more. It’s a Process. It’s Not an Event. Talk & Listen. Connect & Grow. Convert your customers into a marketing engine by dramatically increasing your review volume and your ratings. Drive higher customer acquisition and boost revenue. Monitor your reviews from all the major sites like Google, Yelp, and Facebook as well as top consumer sites — all from one clean dashboard. Using video in your online marketing efforts can boost conversion rates by nearly 50 percent. Your company can realize the benefits of effective video marketing by working with our in-house videographers and multimedia experts who will create custom video content to meet your inbound marketing goals. We start by defining your goals such as brand awareness, clicks, views, and conversions. We analyze your online audience to discover when, where, and how to reach new customers. We deliver your message using targeting data and pinpoint ad placements. We track the performance of your marketing and optimize delivery to ensure online success. 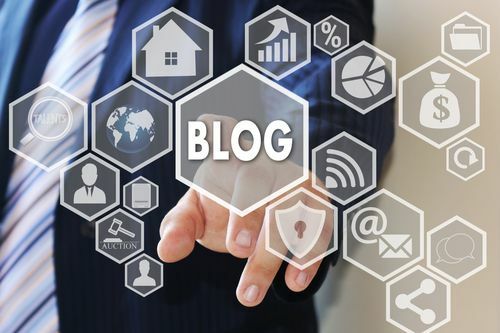 Read the latest news, tips, and information from our blog regarding web design, search engine optimization (SEO), pay-per-click advertising, social media marketing, and online marketing.